Giveaway Day! | "In good writing, WORDS BECOME ONE with things." I am pleased to announce Wordsbecomeone’s first giveaway! In case you haven’t had the pleasure of working with this incredible graphic design studio, Just Milled is a locally owned creator of custom wedding and event invitations and one-of-a-kind thank you cards. They also specialize in branding for businesses, logo-creation and marketing materials. Having worked with them myself, I can say with certainty that their work is second-to-none (disclosure: I wasn’t given any perks for hosting this giveaway). 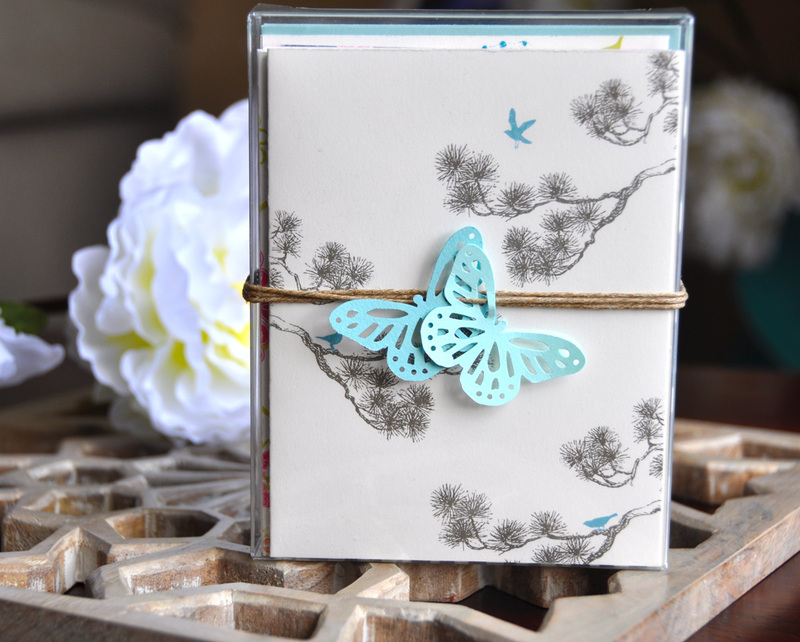 To introduce their debut collection of notecards, Just Milled is giving away a mixed boxed set of 10 cards. The winner can choose 10 matching cards, 10 different cards, five pairs of cards, or whatever mix he or she desires. The cards are hand-cut and folded, printed on lightly textured 100% cotton paper from the finest paper maker, Crane & Co. The cards come in a sleek clear box and will be shipped directly to the winner! The winner may also select two personalized greetings, like “Happy Birthday.” The total value of the giveaway (postage included) with the box and two personalized greetings is $23.00. 1) “Like” the Just Milled page on Facebook: facebook.com/justmilled. 2) Once you’re a fan on Facebook, leave a comment on this blog naming your favorite card (you can find the names of the cards on the Just Milled Facebook page in the album with a photo of each card). We will do a blind drawing to determine the winner. The giveaway is open until 12PM PST Friday, 4/6 and the winner will be announced on this blog (I’ll also email the winner). Good luck, and thank you to Just Milled for sponsoring this giveaway! I’m already a Facebook fan! 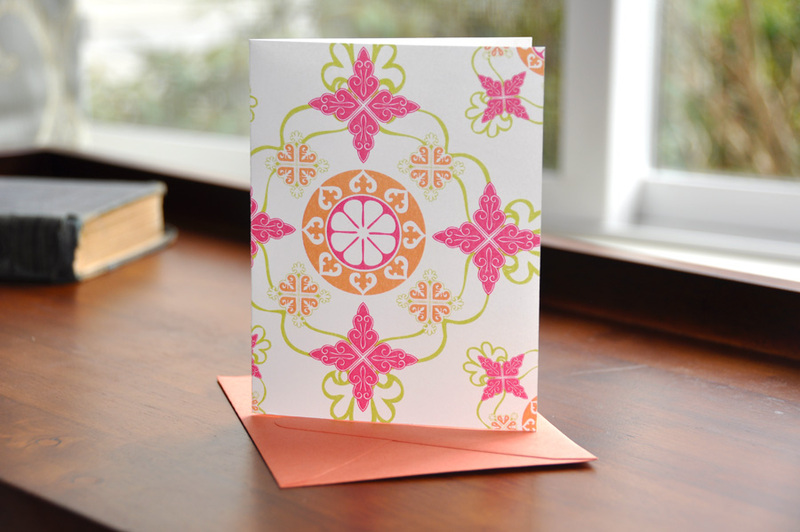 I love the Moroccan Motif card. Nina designed our Christmas cards and they were exactly what we wanted on the first proof! Happy to support this great local business & love the chance to win, too. My favorite is the Animal Train-Boy. Even though, I would use it for a girl too! I am proud of you to have a sponsor Abs! Butterfly is my favorite. And I can tell you all—she does great work! She did my bridal shower invites! I love the Art Noveau card , liked them on fb. I like the baby bodysuits – girl! So cute, I liked them on FB. When do we get the rest of Lillian’s story??? The Mums Blossom design is my favorite! I love how bold and beautiful the colors are, and it can be used for any occasion. Just Milled is amazing!! 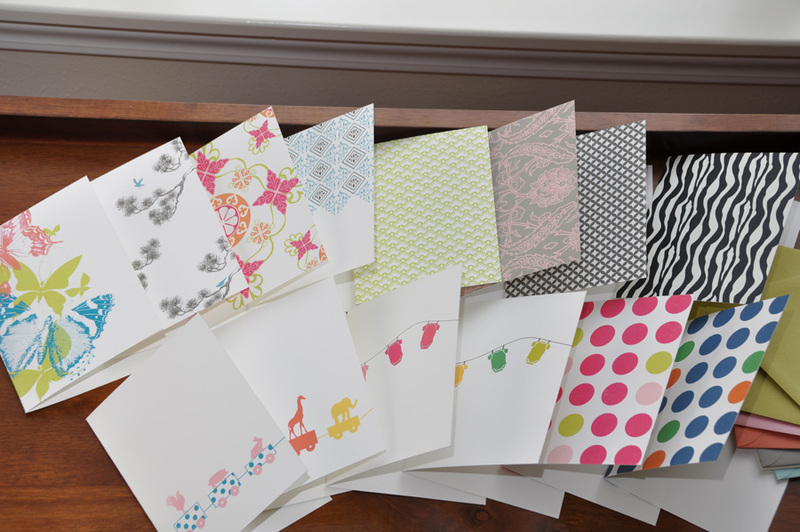 These notecards ard all very cute! I think my favorite though, is perched birds…but I like the moroccan one a lot too! Love ’em! I love Perched Birds! Great work Nina! And how did I miss this?!? Boo Hoo! I love them all, but especially the butterflies…They make me think of Baby Lil!